If you are looking for inspiration for things to do this Autumn, why not come and visit Coniston? The awe-inspiring scenery starts to transform and the tree leafs begin to change colour. We believe that Autumn is a great time to visit Autumn and here are 5 things you might want to try out! 1. Pick a route and hire a bike! 2. Create your own Swallows and Amazons Family fun themed day! If you’ve read the book and seen the film then why not start your own family fun themed day taking the Coniston Launch to see all the areas that inspired Arthur Ranson to write the Swallows and Amazons tales. Start your adventure catching the Coniston launch to see: Beckfoot, Holly Howe, Kanchenjunga, Wild Cat Island, the Amazons' boathouse, and a host of other spots that Ransome used to create his fascinating world. 3. Join a guided walk! Join our volunteer guide leaders on an autumn themed walk through woodlands, gills and tarns. This walk will take you through Guards Wood to Boon Crag and by woods to Tarn Hows, returning down beautiful Tom Gill and Yewdale. 4. Hire a motorboat and go exploring! 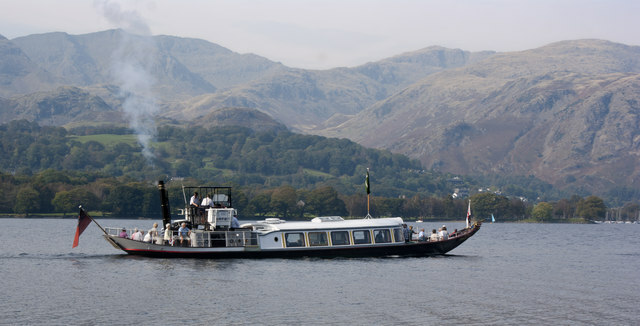 Did you know that Coniston Water is the third largest lake in the Lake District. It is five miles long, half a mile wide, has a maximum depth of 184 feet, and covers an area of 1.89 square miles! Why not go exploring the lake on one of our motorboats. 5. Finish up with some good food! A great place to recharge the batteries with some delicious food is the Bluebird cafe. They offer a range of meals to suit everyone's tastes. We particularly love the tasty fish and chips. You can find the Bluebird cafe right next door to us. So there you have it! 5 things you can do this Autumn up at Coniston. Enjoy the fresh air, scenic views, food and activities. We look forward to seeing you, the family and friends soon.